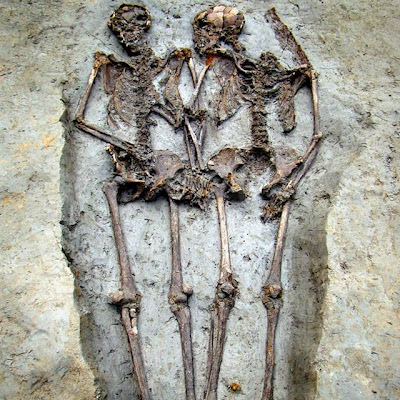 This is some serious TLF- Italian archaeologists found the Roman-era couple at a depth of about 10 feet and they are thought to have been buried between the 5th and 6th century A.D. The woman looks as though she is gazing at her man. She is wearing a bronze ring. I wonder what that ring looks like? Perhaps Bittersweets will have to make something that would look like a Roman mummy ring.